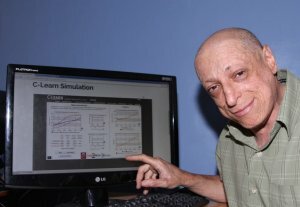 In 2012, Fabian Szulanski, at that time director of ITBA’s System Dynamics Center, and I heard a keynote presentation by Professor Sterman of MIT and Climate Interactive. There Prof. Sterman showed the climate crisis using the C-ROADS simulator, which was very impressive. 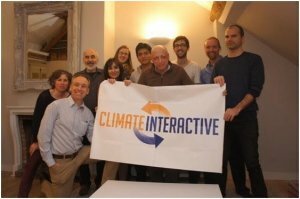 I found C-ROADS on the Climate Interactive website, checked that it had Prof. Sterman’s name on it, and translated the World Climate Simulation materials to Spanish. 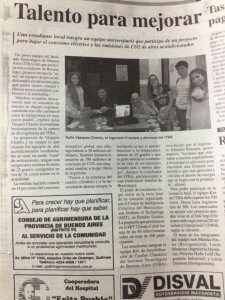 With Fabian and the support of ITBA’s student center, we started organizing World Climate Simulation workshops. 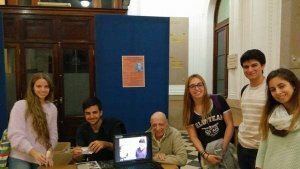 Since 2013, hundreds of undergrad students and engineers have participated in our workshops in Buenos Aires and places around Latin America. The C-ROADS and C-Learn simulators used in the World Climate Simulation are wonderful climate change awareness tools. Our boss asked to write a paper on our experiences with World Climate, and the resulting article is undergoing peer review in the Simulation & Gaming peer reviewed journal. We’ve also offered ideas, which the Climate Interactive team has implemented, to improve World Climate. In 2015, Marco Ordonez, an undergrad student at ITBA who had came to one of our World Climate Simulations, told me that he wanted to start facilitating the World Climate Exercise. I was thrilled. We trained him, and he became so enthusiastic that he convinced ITBA to send a student and a professor to COP21. In something very similar to an Indiana Jones movie, the Argentine diplomacy gave us just one week before our flight the necessary accreditation to be able to participate in the Paris – Le Bourget COP21 UN Climate Summit. During the two weeks of COP21, we woke up with Marco very early in the morning and all through the day to meet as many people as possible. We also got to finally meet the Climate Interactive team: Drew Jones, Ellie Johnston, Juliette Rooney-Varga, Travis Franck and John Sterman! We had closely worked with many of them without even meeting them, particularly with Ellie and Juliette, who taught us many very useful debriefing tips, and Drew, who had introduced us to the World Energy Simulation. The following week, we were invited to a dinner with Laur Hesse Fischer, Juliette Decq and Travis. There, Laur and her boss invited us to participate in the MIT Climate Colab and gave me her card. An idea for the 2016 MIT Climate Colab Competition! Back in Buenos Aires, I had 7 projects in mind that resulted from the COP21 meetings, one of them participating in the MIT Climate Colab. With a team of students, I started reading the Climate Colab website and decided that we would give it a try. We were particularly fascinated by the “Sun Saluter” project, which had won the Climate Colab competition in 2015. Fabian and I organized a brainstorming session, and from 35 ideas we selected a promising idea from Aylin Vazquez Chenlo, a bioengineering student in her first undergrad academic year. Part of the Kiri team, (from left to right) including Melina Piacentino, a friend, Eduardo Fracassi, Aylin Vazquez Chenlo, Marco Esposito and Lucia Montoya. Picture taken by Lucia Osimani. Aylin’s idea 25°C(77°F) is very simple: her mother and father sleep setting the air conditioner at 19 degrees Celsius, but as they got cold they had to use extra blankets for comfort. So Aylin said, “what if we do not let people set the air conditioner temperature so low?” The idea seemed so simple, and as Fabian and I had read Donelli Meadows’ 12 leverage points paper, we knew that it is a very high leverage intervention. We did not know anything about air conditioners, however, so we contacted the mechanical engineering department at ITBA and many other engineers, and at first they told us shockingly that “this idea will not work at all.” Confusingly, we were also told that much energy would be saved if the idea was put to work. At that moment I had to get the highly discouraged students back to work on the project, if we were to lose, at least we would lose with “our boots on”! We would give the idea a try! We then contacted Alan Segovia Roitman, a young chemical engineer who studied at ITBA and he told us were to find a formula by Bilij Bachao to roughly calculate the savings that would be reached with our idea. Aylin also found a consumerreports.com survey on how users set their air conditioner temperatures. 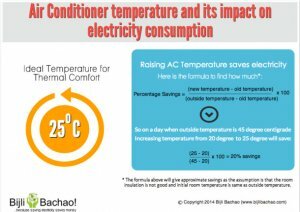 I calculated the average savings with the formula by Bilij Bachao and the expected energy savings by setting the air conditioner’s temperature at 25°C with an external 35°C amounted to a whopping 14%. I knew at that moment that we were on to something! Things started to look better. I had no idea on how to calculate the amount of greenhouse gas emissions savings. I spent 10 days trying to understand those huge numbers! Finally we calculated that about 327 TWh would be saved, similar to the energy consumed by countries like Italy or Great Britain, the emissions saved amounted to 194 million metric tonnes of CO2e, which is roughly what countries like Argentina or Venezuela emit, and at $90 USD per megawatt, the amount of money saved reached $29500 million USD per year. We had high hopes for our proposal, but when the MIT Colab judges selected us as semifinalists, we touched the sky! The judges posed very hard questions: how to avoid air conditioner control tampering and how much time it would take our proposal to be globally adopted. We had just a week to answer these questions, and as I said before, we did not know anything about air conditioners, so we had to consult people who knew about air conditioners. I contacted Ruben Lakatos, who had studied with me at ITBA when I was 20 years old, and he said that the idea looked very good, and that his boss, an expert on air conditioners and owner of a HVAC company was fascinated by the proposal. We posted the answer to the questions posed by judges, and prayed! And yes, we reached the finals! Discussing with Federico Ferrando, my former boss, and Arthuro De Zan, Arturo suggested the idea of an intelligent air conditioner controller with only one button that would start and later turn off the air conditioner: the idea of an “Intermediate Intelligent Controller” had been born! The idea is to simplify the controls, give comfort to users, and to save money and GHG emissions while protecting the environment. And we also contacted Bilij Bachao’s CEO, who sent us the derivation of energy saving formula. I asked him to join the team! After finalists have been chosen, people are encouraged worldwide to vote for their favorite project. Our Kiri student helper team worked hard during July. Overall, we did 3 tv interviews, 4 radio interviews, and were also interviewed by Clarin, Argentina’s leading newspaper, and many many others. We were very anxious to see the results, the students checked the climatecolab.org site to see whether winners had been announced. Last Tuesday they posted an image in our whatsapp group showing that we had won both prizes, the popular choice and the judges choice! I felt like flying through the sky! I called Fabian and thanked him for all what he had done since the start of the project. Our proposal actually won the first place at the top of the podium in the Industry Category. Not only was it the people’s choice but it was also the ClimateColab judges’ favorite project. The ITBA’s Rector proposed implementing the 25°C(77°F) proposal in Argentina, so we are trying to get Argentina’s president and ministers interested in implementing our proposal. 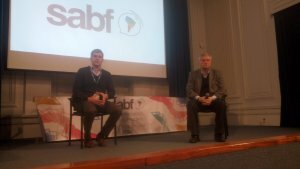 Last Sunday, we met Marcos Peña, Argentina’s Chief of the Cabinet of Ministers during the SABF conference organized by ITBA students. Marcos Peña works directly with Argentina’s President Mauricio Macri. Next Tuesday we are meeting the staff of the Minister of Environment, Sergio Bergman. We are working hard with Miguel Aguirre, Director of ITBA’s Electronic career, to build a prototype of the “Intermediate Intelligent AC Controller”. We are also planning to attend the 2016 Crowds & Climate conference at Boston with at least three undergrad students members of the Kiri team in order to get MIT Climate Colab support to implement the proposal all around the world, starting at COP22 at Marrakesh. We feel that we are living our dreams come true!